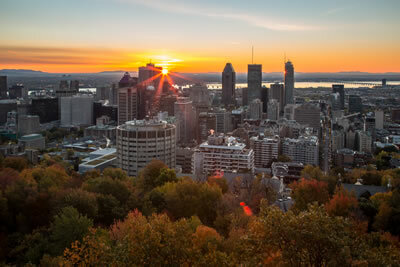 Montreal has an uncalculated chic and European feel that is irresistible in any month but in September, once so many of the tourists go home, you feel like you are feeling the city in a more authentic state. 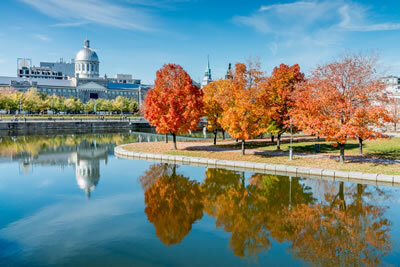 With temperatures dipping back to much more civilized numbers in the 60s and little humidity, Montreal is a great city to visit in September. Expect rain about 7 – 9 days out of 30 in September. You may dial 9-1-1 at any time. The service is free from a pay phone and available in French and English. Operators are in contact with emergency firefighter, police and ambulance services at all times. It is always a good idea to buy medical travel insurance in advance. In case of a non-urgent problem, you may dial this number to reach a health professional easily. Québec uses the metric system, so speeds are indicated in kilometres (100 km/h = 62 mph) and gas is sold in litres (3 3/4 litres = 1 US gallon). Even though road signs are in French, most of them use international symbols. Although turning right on a red light is authorized across Québec (except at intersections where a sign indicates this is not permitted), rights on reds are strictly prohibited on the island of Montréal. Use of a hand-held cell phone that does not have a “hands-free” function is prohibited while driving. For more information, visit: Société de l’assurance automobile du Québec(Québec Automobile Insurance). French is Québec’s official language but English is widely spoken in Montréal. The city has more than 120 cultural groups and over 20% of the population speaks three languages. The anti-tobacco law took effect on May 31, 2006. It prohibits smoking in all public establishments, including bars and restaurants.